Most people only consider Eyeglasses as an accessory of need. However, glasses could amp up the style statement of your whole look. So it is essential to pick a suitable Eyeglass Frame for your face. When considering a frame, many factors should be kept in mind, like face shape, skin tone, and style. All these factors come into play while altering your aesthetic. Every man should have a set of accessories, that are essential in his wardrobe, apart from clothes and shoes. Among those, come to your watches, hats, and the most important; glasses. So without any further ado, here is your guide to picking the perfect pair of glasses for your face shape. Coming to the first thing to keep in mind, check if your face is round, square, heart-shaped or oval. Depending on that you can play with the shape of your glasses. The goal is to find a pair of eyeglasses that contrast with your facial shape and contours. Bringing some symmetry to a round face, or some curvature to a structured face. Read on. Do you have a round face? Then you should opt for Eyeglass Frames, that are either squarish or rectangular. This way you can make your face appear slimmer and more structured. Therefore adding a sort of balance to the round features. Coming to what to avoid for a round face, avoid any pair of Eyeglass Frames that accentuate the roundness in your face. Avoid round glasses or frameless circular features. Talking about Oval face shapes, it is probably the easiest face shape to choose frames that work best. The Eyeglass Frames that suit an oval face is wide ones with a broad bridge. It will accentuate the broadest part of the face. The same goes for Heart shaped faces. When choosing a frame, don’t go overboard and get the widest one. It will make your jaw appear smaller. Taking a frame to big for your face can even cover up more of your face instead of accentuating your shape. Picking an Eyeglass Frame for squarish faces can be tricky. Your aim should be to soften the angularity of your face. Square faces tend to look broader, so avoid getting a bold bridge. Add a thinner and rounder frame to balance the structure in your face. The same goes for Triangle shaped faces. When your face is already squarish and structured, bringing in more structure can look overbearing. Draw attention to your angular features, and avoid boxy eyeglasses. The next criteria to consider when choosing Eyeglass frames is your skin tone. Don’t always go for basic black. You can always experiment with different colored frames that suit your skin tone. Just like the shape of your face, even the color can accentuate your whole look. And not to forget, colored frames are in trend right now! 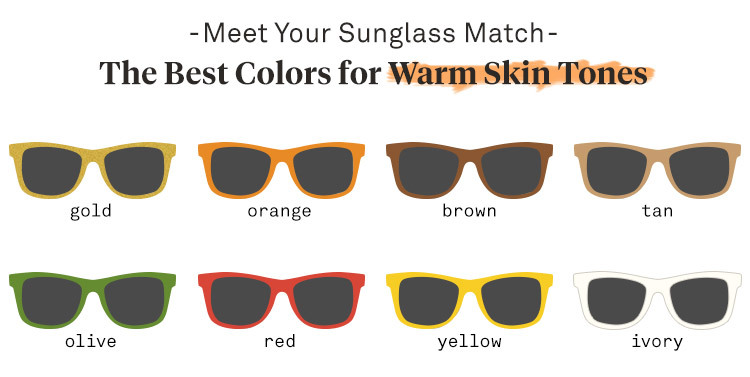 If your Skin tone is considerably warm, then choose the glasses shade accordingly. Warm skin tones have a yellow, bronze, or golden cast on the skin. So if you think you have a warm complexion then stay away from dark contrasts or pastels. Instead opt for more mellow tones like browns, honey, olive, beige etc. On the contrary, if your skin tone has a cool complexion, you will have a pinkish or blue cast on the skin. Avoid Eyeglass frames that can wash you out. Instead, opt for something that accentuates your cool tone. Pick something that is mauve, grays, purples or pinks etc. Finally, the next important criteria to consider when choosing an Eyeglass Frame is your personality. 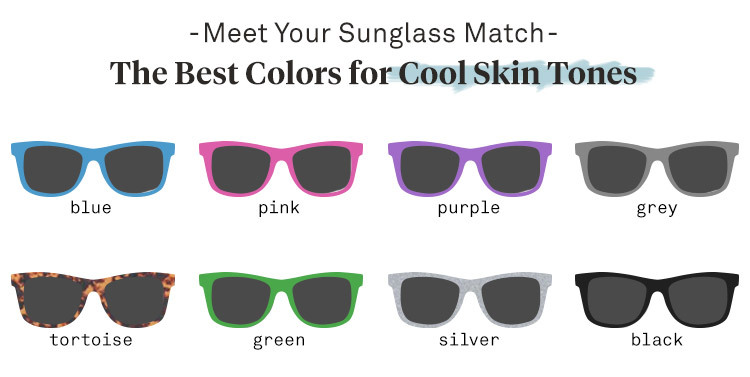 The glasses you pick can tell a lot about your personality. Do you have a serious, angry man persona? Or a fun-loving swagger? The pair of glasses you pick should emphasize your persona. If you opt for a serious personality that you want to portray, then choose a style similarly, and avoid jazzy colors. And if you want a bit of jazz to your frames, because you are full of fun and games, then go for something more colorful and bold. You can also consider these glasses as an investment for the kind of activities you do on a day to day basis. Are you someone who needs glasses 24/7 or do you just wear it while in front of the screen? Or only for styling purposes? Based on that you can pick the durability of your frames and accessorize as per your outfit needs. That’s everything you need to know before you go ahead and buy an Eyeglass Frame. Think of it as an investment and add some style and concept behind it. This way you will love wearing your glasses! Wondering How To Pose Like A Professional Male Model?